understand learning content. 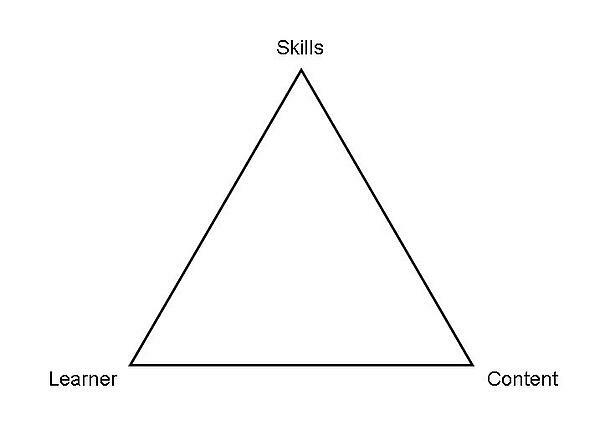 In particular, to label content with the skills and knowledge it helps build. 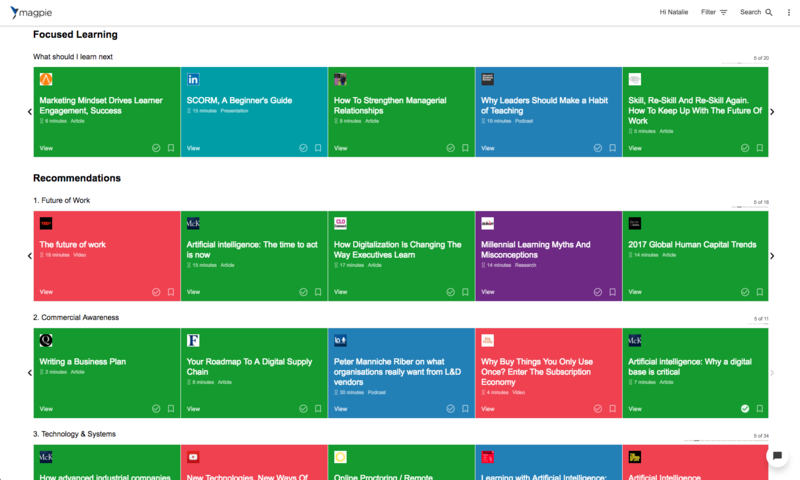 curate learning content. Organise libraries of courses, articles, videos according to the skills and terminology that matters to each client. understand learners. In particular the connection between a learner’s role, their objectives, the projects and tasks they are working on and the skills that will optimise their performance. These are the capabilities we have built into magpie. Together they let us make connections between learners and learning that unlock the potential of both. magpie uses machine learning and artificial intelligence techniques to do its job. These techniques are revolutionising many sectors, feeding on data from increasing online activity and advances in processing power. We have an ongoing research programme supporting magpie development, and so the technologies we employ changes to reflect the latest advances. collaborative filtering. Using the decisions, feedback and usage of other learners to understand what is useful, what suits whom. If we can identify content that has made a difference to learners similar to you, tackling similar roles or challenges, we can make a recommendation that helps you. content-based filtering. Matching the characteristics of learning content - especially the skills it engenders - to the requirements of each learner (particularly their skills gaps). deep learning. Layered neural networks can be ‘trained’ by example: if I have examples of articles and videos expertly classified according to the skills they teach, I can configure a neural network to apply similar skills labels to new, unclassified content. Try magpie out for yourself, and get recommendations of great learning content selected to meet your needs. Try the free version for L&D and HR professionals or a demo for all professions here.